Yes, this is likely not the podcast episode that you're looking for. 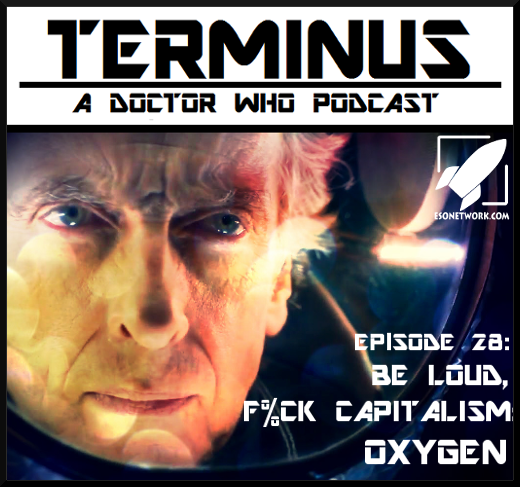 Fear not, though, as I do plan to review the episodes of Series 11 with Jodie, it's just that I'd planned to release this right before the new series started airing, but life intervened. Still, despite the awkward timing, I worked hard on it, so I still wanted to go ahead get it out. Now, the subject matter is admittedly a bit dated as the con I'm discussing happened a few months back, but I had hoped to use this as basically a practice episode to get back into the swing of things. So, anyway, I hope you will all join me for some reminiscing about my time at this year's Wholanta convention, as well as some bonus Happy Fandom Time squee and a mini, non-spoiler-y chat about David Tennant's film, 'Bad Samaritan'. Glad to have you all aboard and do enjoy the ride! 0:54:47 - Goodbye, Thanks, and Outro! + Brand-Spanking-New Terminus Ko-Fi Page! + Me on the 'Discussing Who Podcast' Chatting About 'Girl in the Fireplace'! + My Thoughts on Leela in 'Face of Evil' back on Episode #22! + Wholanta Instagram Pics: My UNIT Tank Girl cosplay (sorry I don't have more pictures! ), my cosplay helmet (the only pic I could find of it -- more stickers were added after this! ), my UNIT Tank Girl con backpack, close-up of my Twelve & Eleven keychains on the bag, pics of my acquisitions, and my Louise Jameson autograph! + BONUS LINK: How To: DISTRESS & BLEACH T-SHIRTS! WANT TO BUY ME A DRINK? OR DROP ME A TIP? CLICK THE BUTTON BELOW! Yes, your eyes are not deceiving you: I'm finally back! And in tow I've got some Seventh Doctor fangirling, some squee about guesting on other lovely podcasts, some fannish love for things like Georgia Tennant and Doctor Who calendars, and, most importantly, a very belated review of 'Oxygen', replete with chat about Punk Rock Doctor Who taking down the government, capitalism, privilege (and the lack thereof), and even the science of panic attacks. So, yeah, I hope you will all please join me for this episode and, as always, glad to have you all aboard. Do enjoy the ride! 0:22:45 - Discussion of "Oxygen"
+ My Recent Guest Spots on the 'Discussing Who' Podcast: My Interview Episode! And Reviews of 'The Empty Child' and 'The Doctor Dances'! 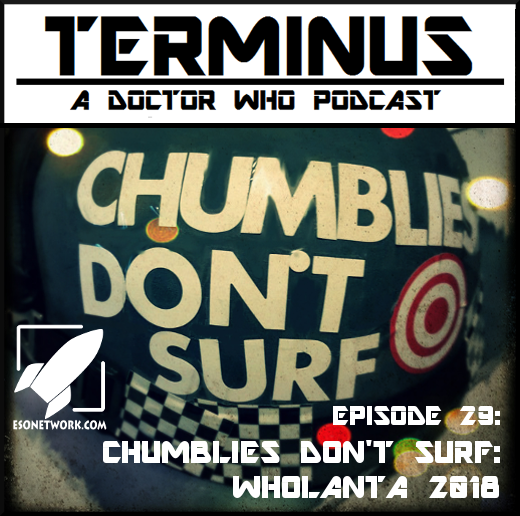 + My Recent Guest Spot on the 'Who and Company' Podcast (Geeking About 'Doctor Who' and 'In the Flesh')! + My Recent Guest Spot on the 'In Defense Of' Podcast (Celebrating 2017's Awesome Geek Moments)! + The Super-Pretty Seventh Doctor Era Box Set (sadly, no longer available! #weeping)! + 2018 Target Artwork Calendar from Andrew Skilleter! + Upcoming Seventh Doctor Comics from Titan Comics by Andrew Cartmel and Ben Aaronovitch! + Georgia Tennant on Twitter! And She Cosplayed as Seven! And Shared An Awesome Vid with Her Husband (David Somebody?) for Gary Russell! + Brand New Target Books for the New Series! + Monk Trilogy Fan Trailer (By Gallifreyforever97 on YouTube)! + The Tomorrow People (1970s Classic Series)! + The Children of the Stones!